Mother's Day is soon - Sunday 15th March and I've popped together a little gift guide incase you are looking for inspiration. 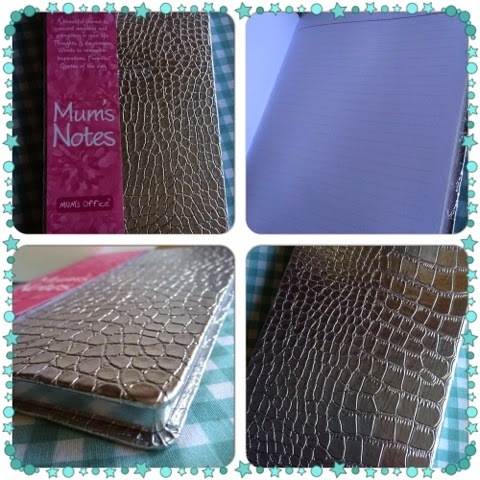 This beautiful silver mock croc bound "Mums Notes" notebook would make a great gift. Hardback Mums Notes book with silver gilt edging and features Mums Office signature pink ruled page with a facing plain page. The Mums Notes book is available in a selection of colours. Available from Mums Office. M&S have a delicious range of special chocolates for Mother's Day. The Honey Collection is presented in an hexagon shaped box with an elegant assortment of chocolates made with specially selected honeys - chestnut honey, lavender honey, wildflower honey and orange blossom honey. 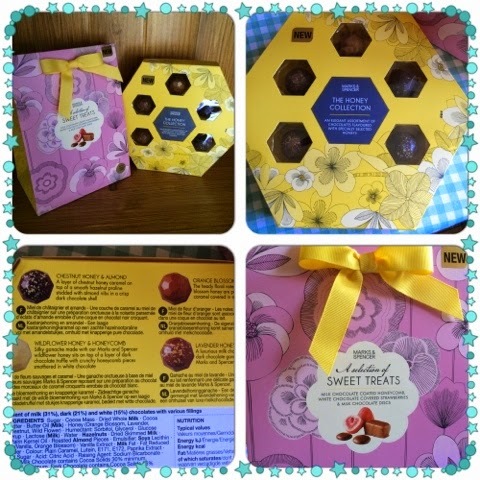 Whilst the Sweet Treats selection contains chocolate coated honeycomb, chocolate covered strawberries and chocolate discs. Both collections are available in store, and there is a lovely selection of Mother's Day gifts available online too. 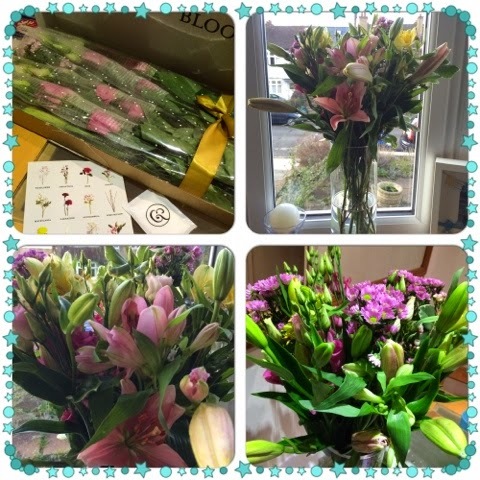 Bloom and Wild do the most amazing bouquets of fresh flowers which are delivered in a letterbox friendly box! Carefully packed - some flowers even have little mesh socks on to protect them, you will be surprised by just how beautiful and large these letterbox bouquets are! This bouquet is The Alice, there are a selection of letterbox and hand tied bouquets to choose from and a very flexible choice of subscriptions too as well as one off bouquets.